Founded in 1952, Franco and Sergio Minuto's extraordinary 10 hectare Moccagatta estate holds vines in the two townships of Barbaresco and Neive. The Barbarescos come from three crus of radically different character – Basarin, Cole, and Bric Balin – each one vinified separately so as to enhance the character particular to the terroir. "Basarin," from vines around Neive, has sweet black fruits and currants on the nose, but is firm and lean on the palate, providing excellent nearer-term drinking. Moccagatta is the sole bottler of the "Cole" vineyard (considered a continuation of the famous Montestefano cru, near Barbaresco), of which they own just .5 hectares. Matured in barrique, this is an opulent, muscular wine of great longevity, with silken texture. "Bric Balin," named after a cherry tree on the home property, is the jewel of the three Barbarescos, an elegant, velvety wine with dense red fruits, cocoa and spice, matured entirely in part-new barriques. A barrel-fermented Barbera of remarkable complexity also comes from the Basarin, a well-known source of excellent Barbera. Moccagatta also makes small quantities of a deliciously pure Dolcetto. 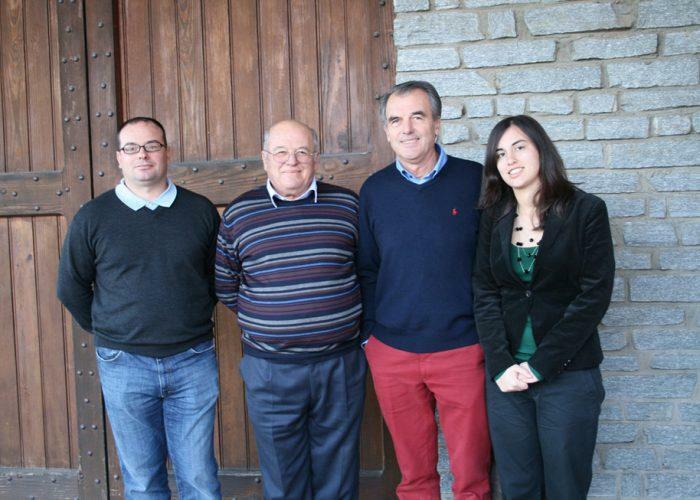 Sergio's daughter, Martina, and Franco's son, Stefano, are now fully involved in the daily operations of the estate. Vineyard Management: Moccagatta takes part in the EU regulation to encourage low-environmental-impact methods and to improve the preservation of natural resources in rural areas through agricultural and environmental measures. Integrated insect and disease control is carried out, through a combination of methods that includes sexual confusion and the integration of strategically-placed birdhouses in the vineyards. Sulfur- and copper-based products are used at the minimum dosage levels possible. Only organic fertilizers (manure) are used. This manure comes from traditional cattle farms where no concentrated feed is given to the animals. Cover crops (grass cover) are left between the rows of vines. Wine Spectator 97 "Offers an intense display of cherry, kirsch, rose, sandalwood and spice aromas and flavors. The kaleidoscope of flavors is matched to a firm, racy structure. It all comes together on the never-ending, mineral-tinged aftertaste. Best from 2023 through 2043. 1,100 cases made. –BS"
Wine Spectator 95 "A lush, juicy style of Barbaresco, this fills the rich texture with cherry, strawberry, licorice and leather flavors. Supple yet firm, with terrific balance, ending with a long aftertaste of sweet fruit, mineral and tobacco. Best from 2018 through 2029. 416 cases made. –BS"
Wine Spectator 95 "With a touch of oak adding sweetness and spice, this red is totally seductive, from the floral, cherry and licorice aromas and flavors to the supple texture and harmony to the lingering aftertaste of sweet fruit and spice. Ripe and charming, with a soft feel to the dense tannins. Wine Spectator 91"Harmonious and refined, yet chewy and thick. Exciting. Full-bodied, with big, caressing tannins and a long plum, mineral and toasted oak finish. This needs time. Best after 2007. 1,500 cases made. " Wine Spectator 92"Aromas of meat and earth, with hints of berry. Full-bodied, with soft, round tannins and a long, rich finish. Closed right now, but shows a lovely texture. Chewy. Best after 2008. 1,700 cases made. –JS"